Instructor Led Trainings can be boring. Converting an ILT to a more engaging learning format is a challenge and requires formidable Instructional Design expertise for effective execution. Take a look at this video that features a case study that highlights how a face-to-face Instructor Led Training (ILT) was effectively converted to online learning using storytorial as the learning strategy. 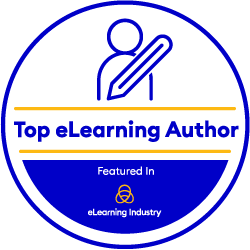 Please check EI Design for more eLearning and mLearning resources.